I recently created a big production with my honors drama students. Typically, in my creative process, music is the inspiration behind my works. But in the case of my Land of Stories show, it was my amazing daughter, my Mina, that was the absolute driving force of my inspiration. This incredible child of mine was positively smitten by Chris Colfer’s beautiful, fairytale treasure of creative genius, “The Land of Stories” books series. She would read passages and chapters from the books to me out loud with such excitement – saying “Mama, I wish I could just dive into the book and live in the story!” She would hand me the book and demand that I read certain pages. She was absolutely taken with this opportunity to escape into this awesome world with fabulous characters and great adventures. What a beautiful thing storytelling is! Naturally, we had to have the entire book series, making sure to get the next book as soon as it came out. For her birthday back in December, we even framed the book covers to hang in her room. I wish I could personally share with Chris Colfer the joy he helped to create for this precious girl. I just know that he’d be proud and that he’d adore my Mina and her zeal for his fabulous stories! I have learned to listen to that voice of inspiration, that lightning strike that demands my attention. When a vision repeatedly creeps into my mind and heart, I know I’m supposed to listen and take action. In the case of my recent big production with my honors drama students, I am so thankful that I allowed myself to be guided by my inspiration and let my little muse, my Mina, capture my attention and fill my heart with her excitement. Thanks to her joy for this incredible book series, I let my passion for writing, producing, and directing mold this special creation. I’m ever thankful for my brilliant girl’s love for fabulous stories and for sharing her passions. And I’m still overwhelmed with gratitude at the outcome: the gift of working with such fabulous people and young stars to make my product a successful reality. All that being said, if you ever feel that glorious wave of inspiration and it overwhelms your heart and mind, go with it! Follow that road of inspiration and let it take you places and make great things happen! Every time I have followed the lead of my inspirations, I’m always thankful that I did. My prayer, hope and wish for my own children is that they never lose that ability to be taken by something positive and wonderful, and are never fearful to share their joys and inspirations. And I will certainly be forever thankful to my angel girl, Mina, for sharing her passion for Chris Colfer’s awesome books. I hope and pray that she never loses that twinkle in her eyes and her love for great stories! Arts integration is the collaboration between the arts and other academic content areas resulting in a richer, more complete whole that fosters deep, connected, personal learning in both areas simultaneously. I am what they call a “teaching artist.” I am a trained performer, with a focus of acting and dance, that infuses the arts into regular school curriculums. I get great joy from being a teaching artist! So how does arts integration help me? Understanding arts integration helps round out my artistry. Knowing how to integrate the arts and actually engaging in integrating the arts only enhances my pool of talents and allows me the precious opportunity to share my passions on a very unique level. As a performer, you seek to entertain and gain great joy from entertaining — add teacher to that equation and you’re knighted with this priceless opportunity to let the arts lead the way alongside education, enriching everyone’s lives. To me, arts integration means tapping into a student’s imagination and engaging them so much into the subject and art form, that they don’t recognize how very much they’re learning — due to the fact that they’re having so much fun! 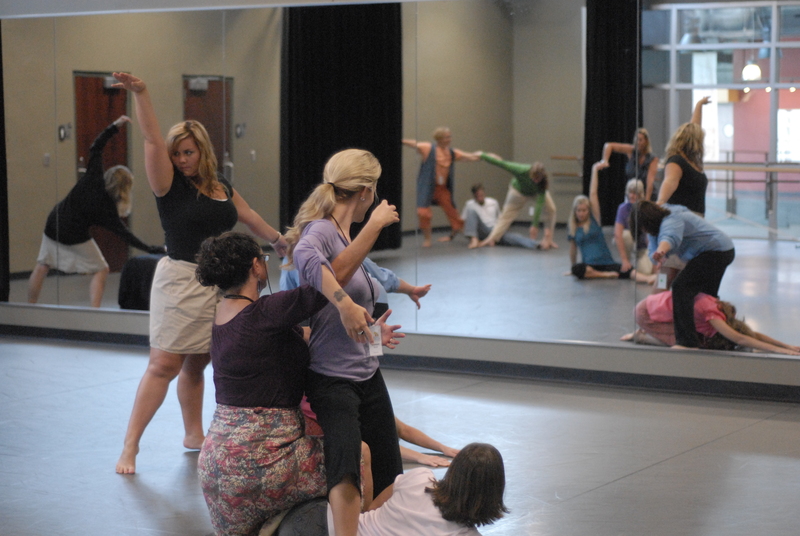 Last summer I had the honor of training at Greenville County, Smart Arts, and Metropolitan Arts Council sponsored training institutes and I participated in Kennedy Center’s Artists as Educators Seminars. It was a total thrill for me! I seriously loved every bit of it. Working with school teachers and other teaching artists opened my mind and broadened my teaching horizons. Sounds cheesy I know, but hey, it’s my thing! Amazing things happen and great knowledge is attained when the arts help to bring school subjects to life. All that being said, I hope those of you who read this will also be supporters of arts integration and encourage your local schools to take advantage of the huge benefits the arts can have on education. It’s a beautiful thing to see a child grasp the knowledge and have so much fun learning!